Enjoy a relaxing day out in the Kent countryside. 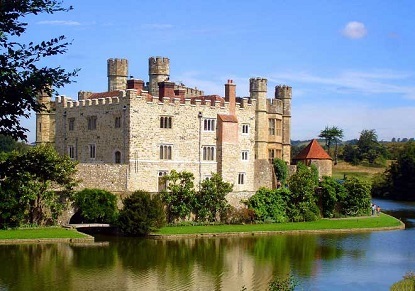 Visit the beautiful Leeds Castle, the magnificent Cathedral at Canterbury and take in some fresh sea air under the famous White Cliffs of Dover. Classic Tours are our most popular type of tour: entrance to the attractions featured on the tour are included in the price, along with the services of a professional tour guide (excl. Stonehenge Express) and return transfer on an air-conditioned luxury coach. A full day discovering the treasures of Kent - Leeds Castle, Canterbury Cathedral and the White Cliffs of Dover. Tour includes entrance to Leeds Castle and Canterbury Cathedral. Select Tours offer more flexibility as to how you enjoy your tour on the day: entrances to attractions are not included in the price, but attraction tickets can be purchased on the day from your Tour Guide. Select Sightseeing - A full day to discover the treasures of Kent - Leeds Castle, Canterbury Cathedral and the White Cliffs of Dover. Entrance fees are not included, but tickets may be purchased from your guide.